I want to begin by discussing an issue that I know from my mail bag is a top priority for people in Burnley and Padiham i.e. local policing. Despite eight years of cuts to police budgets and the consequent loss of 800 uniformed police officers, Lancashire Constabulary is totally committed to ensuring the safety of the public. This though is no easy task and it is a fact that while police budgets go down, crime levels are rising. This year’s police grant will not even cover the force’s pension costs. Despite Government attempts to mislead the public it is a fact that the only extra police funding, has come from tax payers via the police precept. There is no precedent in post war history for any Government to undermine the police in the way that this Government have. It really is little wonder that we are seeing a worrying rise in house burglaries and a dramatic fall in the number of arrests for violent crime and domestic violence. I am in regular contact with the Police and Crime Commissioner and on Tuesday I met with the Deputy Commissioner to discuss this year’s policing priorities for Burnley and Padiham. My very strong view is that the extra charge on our Council Tax bill should be used to bring back some of the uniformed officers that have been lost in recent years. I am also keen for the force to target resources to tackle burglary. I am determined that as we are all going to be paying extra for policing we must be able to see the benefits. I want to stress here that my comments are in a no way a criticism of our hardworking police men and women. They are doing a really tough job in difficult conditions and they certainly have my support. I just wish they had the Government's support. 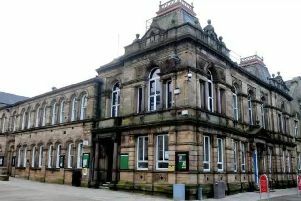 It is very much the same story in Local Government and it is a fact that since 2010 Burnley Borough Council and Lancashire County Council have been on the receiving end of the most devastating cuts in their history. Of course cuts have consequences and that is why we are seeing not just holes in our roads but gaping holes in vital services such as adult social care and children’s services including support for children with special needs. Shockingly, even child protection services are to be reduced in the next round of savings. The majority of councillors of all political persuasions work really hard both in the borough and at county level to deliver services even in the face of these massive funding cuts but they are on a hiding to nothing because perversely this week the Government confirmed yet again in its local Government funding settlement that the poorest authorities will bear the brunt of the cuts. None of this adds up: the Government keeps telling us that we have a strong and growing economy. Surely the obvious question is: Why are our services being devastated if the country is doing so well? On Wednesday I met with Cancer UK for an update on their work in our area. They were clear that reducing levels of smoking and obesity is key to preventing the development of cancers. When cancer does develop, early diagnosis is vitally important to survival rates. Currently less than half of all cancers are diagnosed in the early stages in East Lancashire so the Government’s focus on improving cancer outcomes in the 'Ten Year NHS Plan' is very welcome. Cancer UK have made it clear that success in this area will depend on more finance and more specialist staff and has called on the Government to “implement a fully funded long term cancer workforce plan to meet rising patient demand”. On Friday I was pleased to meet with representatives from the Burnley charity, Cares. Cares - Cancer Assessment Rapid Early Support - was founded with the specific aim of raising funds for an additional Endoscopy Unit in Burnley. This would enable an additional 10,000 endoscopy sessions to be carried out at Burnley General Hospital. Individuals can make donations to this charity at www.carescharity.org and local businesses can sign up to the Pledge Ledger. In addition, Cares has recently teamed up with Cancer UK to offer local companies free cancer education, support and resources. All local businesses are invited to send a representative to the initial workshop session 9-30 - 11-30am on Wednesday, February 20th, at the CVS Centre Burnley. My next MP’s surgery will be on Saturday, March 2nd, from 10am - noon at my Constituency Office at 8 Keirby Walk Burnley. No appointments are necessary and people attending will be seen on a first come first served basis. Alternatively email me at julie.cooper.mp@parliament.uk or call 01282 425744. The constituency office opens Mon-Fri from 10am - 4pm (half day Tuesday) where my staff will do their best to assist you and keep me informed of the issues you raise.